Not ready to hire someone to manage your website? Not showing up on the first page of Google? Each week Sami will go Live on Facebook to teach you about how to utilize SEO on your website. 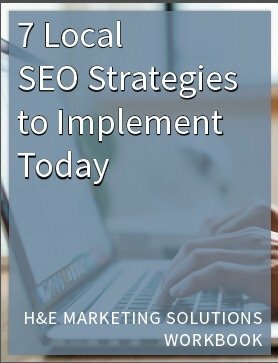 We’ll focus on local search optimization and give you actionable items you can implement on your own! Every month you’ll have the opportunity to submit your questions on all thing SEO and we’ll discuss as a group. We’ll bring in other experts to talk about their experience with SEO, web development and more. Small business owners and solopreneurs like you are in this group. Learn from their successes and brainstorm ideas with other people in your same boat. We believe that you’ll get a ton of information from our group, but should you not be happy with your purchase we’ll refund you, no questions asked! Who is perfect for this program? Not sure if you're ready to get to work? Schedule your free 15-min call and we'll analyze your current digital marketing needs.